Live each day with the idea that tomorrow may never come – it's really scary. Doubly frightening by the fact that the ability to change this painful waiting there, but nobody knows whether he will wait for his salvation or not. Donors the rare internal organ for transplantation may become people with healthy hearts, aged less than 60 years, received serious injuries incompatible with life (e.g., brain) or brain death which occurred as a result of vascular accident (brain hemorrhage). These donors are mainly in hospitals from the ambulance where to go after serious traffic accidents, severe injuries, etc. 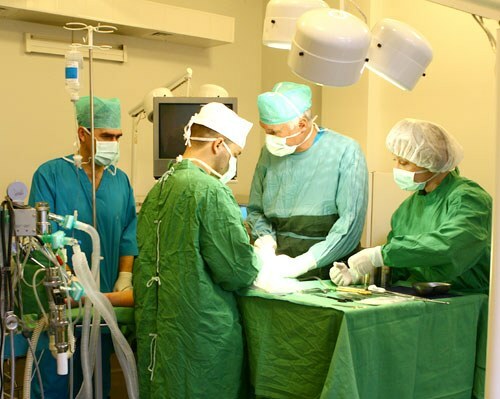 Clinics performing heart transplant, regularly send requests in such medical institutions where the indicative list of requirements to transplanted organs. In many countries during the life of the person can be a potential donor. This is paper with the permission to use his organs for transplantation after death, and, in the event of unexpected death, his death may save the lives of more than one person. The permission of relatives on the removal of its organs is not required. Unfortunately, in Russia such practice is not, so transplant doctors face not only the indifference of the relatives of the deceased, but also with their aggression regarding the removal of organs. In rare cases, a person can become a donor in life and not to die, of course, in that case, if in return your will receive another heart. This happens if the patient needs a comprehensive transplant hearts and other vital organ at a time (e.g., lungs). And both of these must be from the same donor. This complex operation was first conducted in 1987 in the UK. During this surgery, the patient became the world's first living heart donor. He was transplanted the heart and lungs of another person, and his heart he gave to those who needed it.